I'm always looking for products specifically for the eye contour. With age, the skin around my eyes has become very thin and sensitive, and any lack of sleep shows in dark circles and puffiness. This eye cream is slightly white with a fluid texture which I find wonderful for the fragile and sensitive area around my eyes. It's a decongestant treatment for puffy skin as well as a tint brightener, and a nourishing cream. It immediately feels soothing, but the best part is the metal sphere applicator which provides a cooling massage as well as precise delivery of the product. I have been using it twice a day, followed by my usual day or night cream. It suits my skin, no irritation or sensitivity. It makes a perfect base for make-up and is quickly absorbed without leaving a residue. The supple plastic tube contains 15 ml, which is standard for this type of skincare. So far, using very little each time, I estimate that it will last me two months at least. Also suitable for male skin, so my husband has been using it, too. I'm always interested in the composition of face products; the active ingredients are listed as Hyaluronic acid, Argan stem cells and Vitamin C, which I have found effective in the past. This products is not tested on animals, and does not contain any parabens or phtalates. It's working well for me, and my face looks more rested, with better tone around the eyes, and a brighter look, so I don't have to use so much eraser. The texture of all three masks is thick and creamy, it's a dream to spread as it sticks exactly where you put it, without clumping or falling off. Just a thin layer is enough to treat each area, no need to pile it on too thickly. After 15-20 minutes, when the mask is visibly dry, it's equally easy to remove with warm water and a beauty sponge, ideally in the shower but not necessarily. I use a Konjac sponge to trap every particle. The effect is to improve each area in a targeted way. These specific masks close the pores in my T-zone (especially my nose) and chin, hydrate the cheeks and tighten the lines around eyes, mouth and on the forehead. The natural ingredients are refreshing without drying out or irritating my fragile mature skin. The aroma is clean and delicious. The masks are packaged in tubes of soft plastic, perfect for squeezing the small amount needed. I have been using this treatment twice a week, and I love the results, especially since my mixed skin appears more even and less shiny. I always look for skin care that is not tested on animals, and this brand is one of my favourites for this reason as well. 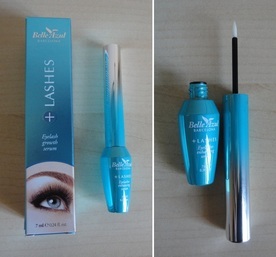 I'm happy to report that I find this lash conditioning liquid to be excellent and safe for my sensitive eyes. I have been using it for nearly 8 weeks and, just as they say, it does take time. For me, it took 5 to 6 weeks of twice-daily applications before I was certain of seeing results, so be patient and give it a chance to work. I love the little bottle, my favourite shade of turquoise blue, just like a warm sea. The contents (7 ml or 0.24 of an ounce) have lasted me for two months and there is still plenty left, judging by how wet the brush feels. The list of ingredients translated in English includes mostly natural, plant-derived extracts like Oarweed, Greater Burdock root, White Nettle, True Ginseng root, Argan oil and Avocado Oil. The applicator is pointed like a brush but more rigid. You swipe it along the roots of your lashes as though you were applying eyeliner, both above and below your eyes. I also run the applicator over the full length of my upper lashes, just in case! After a couple of tries I acquired the knack of treating the roots without getting any liquid in my eyes. If you do, just rinse your eyes with water. We take eyelashes for granted but, like everything else, age and cavalier treatment can affect them negatively. My lashes have always been long but not very thick and, lately, they had paled in colour so that in their natural state, they were even less evident. When applying mascara, I noticed that the bottom lashes in particular had reduced in number. Also there was a brittleness that showed up when I used a lash curler. The first encouraging sign for me was that my lashes got darker and more elastic. Mascara went on more easily and, suddenly, I had more impressive lashes. When I started with this serum, my upper lashes had gone through a full cycle of regrowth and they were actually shorter than usual. They are now back to their full length, but also thicker and they don't break any more when curled. I also tried this on my eyebrows where the improvement was much faster. Within 2 weeks, my eyebrows looked darker and more defined, and the down wings, that I had plucked almost to extinction, started to sprout new hairs. For me, this serum has been effective but I stress that it took more than a month to see improvement. I love this product as I use lip gloss almost exclusively and am always looking for a high shine. 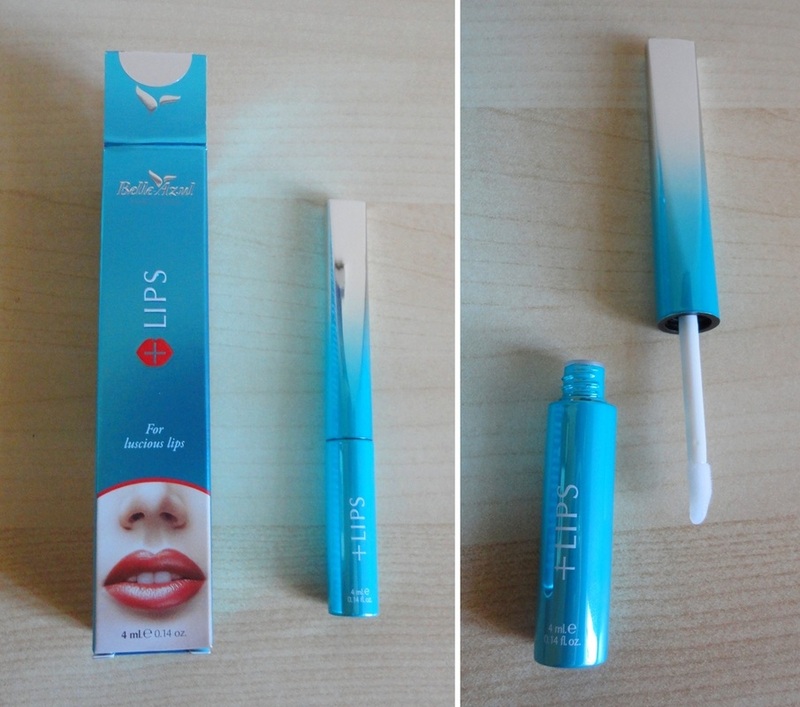 The packaging is beautiful, in my favourite shade of turquoise, and the applicator wand has a little slant on one side, which makes it very easy to use. The directions say to apply this three times a day, which I have done for a total of seven weeks, but I have to say that the plumping is minimal and short-lived. The peppermint essential oil makes my lips tingle nicely, but not enough to irritate them, and that's a good thing because that's not what I look for in skin care. I should mention that I have never found a lip plumping product that actually worked for me. The only exception is Lips by Simon & Tom, a sister brand to Belle Azul, which returned my mouth to something approximating the volume I had in my 40's. Having tried quite a few, I don't believe that a beauty product can increase the size of my lips and the ones that cause swelling due to irritation are not something I would want to use. So this works beautifully as a moisturiser and, visually, it gives me a lovely glossy look. Long-term it has made my lips very soft and smooth and in this price range, I'm happy to buy it again to use as a lip gloss as I can easily customize the colour by adding a little pencil.